According to an article in USA Today, transit agencies across the nation are showing record or near-record ridership for the first quarter of 2012. 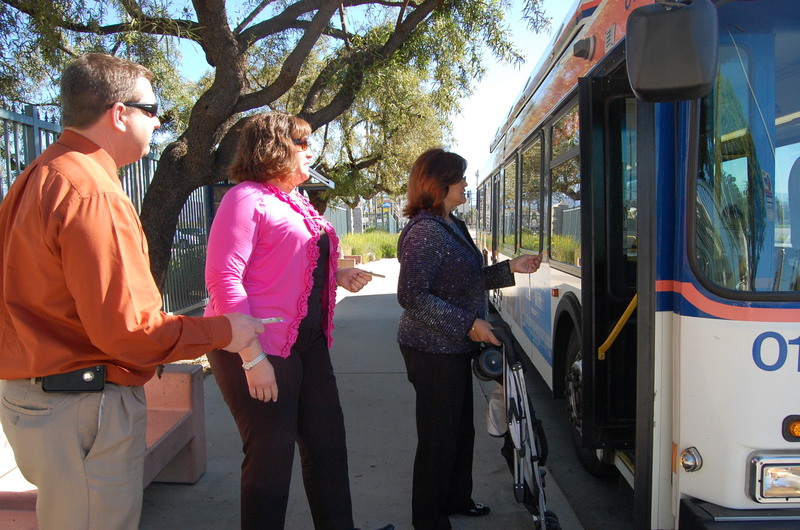 The American Public Transportation Association(APTA) announced bus ridership increased in 34 out of 37 large cities. Omnitrans saw an 8% increase in ridership for January February and March. Get a FREE ride on Omnitrans! Are high gas prices getting you down? Thinking about making the move to public transit? Visit the Omnitrans website for a printable coupon that will allow you to ride the bus for free on national Dump the Pump Day, June 21st. You can also find a free ride coupon in the Sunday, June 17th editions of the San Bernardino Sun and the Inland Valley Daily Bulletin. This entry was posted in Bus Ridership, Uncategorized and tagged american public transportation association, apta, bus ridership, Incresed bus ridership, omnitrans news, omnitrans ridership, public transit. Bookmark the permalink.